ST. GEORGE — In a quiet graveyard, a charming skeleton notices a sad new arrival and together they discover that happiness can be found in any circumstance. 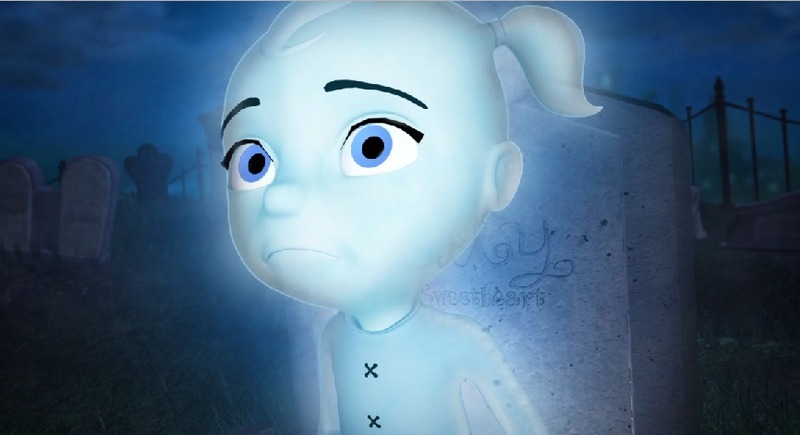 This enchanting story – featured in the animated short film, “The Ghost Next Door” – won a student Emmy for 2006 Snow Canyon High School graduate Chris Bringhurst and his teammates from Utah Valley University. Bringhurst, a recent UVU grad, is the film’s writer and director. He accepted the Emmy award in Los Angeles during the 37th Annual College Television Awards in May. “The Ghost Next Door” won third place in the animation category during an evening packed full of Hollywood glitz and glamour. Black tie, gorgeous gowns, televised drama, glittering Emmy statuettes and rubbing shoulders with industry giants all led to an evening to remember, Bringhurst said. ‘The Ghost Next Door’ appeals to both children and adults because there’s the meaning on the surface of the story, Bringhurst said, but underlying that is the deeply moving concept of loss and how humans eventually come to accept it in their lives. 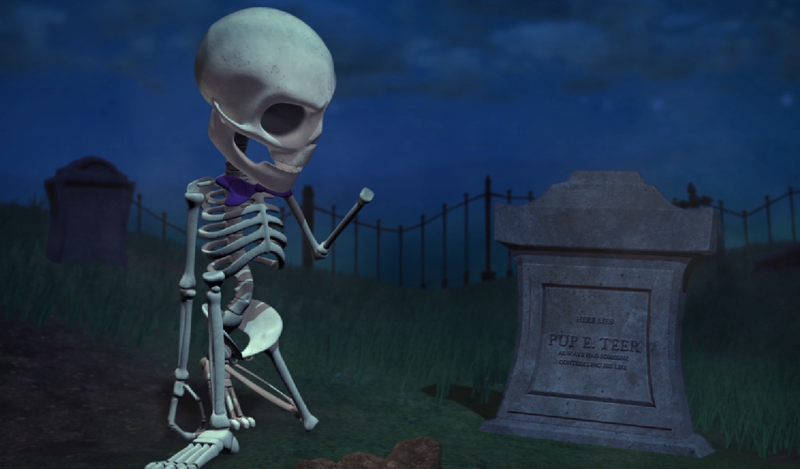 It’s a story that takes a funny, delightful skeleton and a sad little ghost to portray the universal experience of loss and loneliness. Through humor and persistence the characters find in each other the compassion, peace and even joy they both are seeking. The entire project, from start to finish, took the team about a year and a half to complete, Bringhurst said. For them, the film took on an entirely different meaning as it became an essential part of their lives. “For us, it was something that we lived, and we worked on that film every spare moment,” Bringhurst said. The team spent countless hours editing, rendering and polishing the film until it was as perfect as it was ever going to be, he said. It was then submitted to the College Television Awards, a national competition that presents over 65 trophies in multiple categories. Designed to emulate the Emmy judging process, all entries go through a rigorous three-round judging process by members of the Television Academy. During the final round of judging the first, second and third placements are determined. Once “The Ghost Next Door” was selected, Bringhurst received a telephone call, which came while he was at work. Bringhurst and his team were later flown to Los Angeles by the Academy and on May 25 ‘The Ghost Next Door’ took third place for the 3D animated short film. It was the first student Emmy ever awarded to Utah Valley University, a 537-acre campus with approximately 33,000 students located in Orem, Utah. 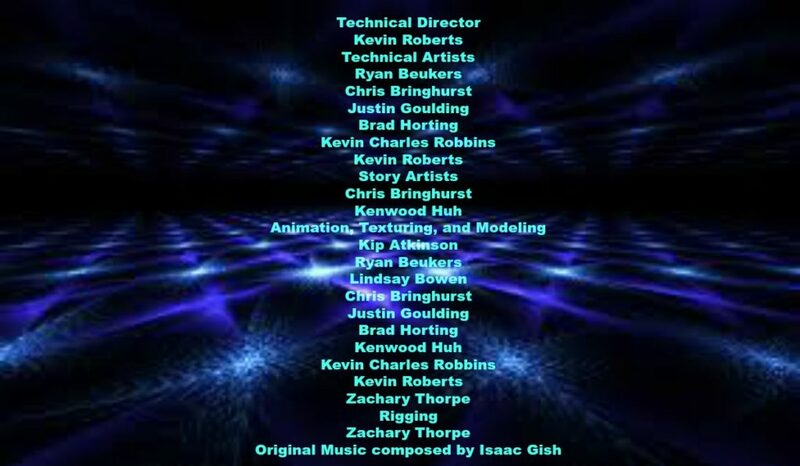 Along with Bringhurst, the team of students and individuals that produced the film included Kip Atkinson, Ryan Beukers, Lindsay Bowen,Isaac Gish, Justin Goulding, Brad Horting, Kenwood Huh, Kevin Robbins, Kevin Roberts and Zachary Thorpe. The director also saved a special acknowledgment for his wife, Jenni, who devoted countless hours on the film’s creation as well. “We literally sat on the couch and recorded the voices for the film on my laptop to yield the desired results,” he said. Moroni Taylor, an industry professional from Blue Sky Animation Studio, helped mentor the film. The College Television Awards debuted in 1978 as an offspring from the Television Academy, which was formed during the 1940s. During the 1950s it became a national icon with the birth of the “Emmy Award,” which is known around the world for celebrating the industry’s finest achievements. Winners are invited to participate in a Nominee Summit at the Television Academy, where they are exposed to industry professionals and undergo development workshops. Students also become part of the Television Academy Foundation alumni network, which provides access to year-round networking opportunities and events. Cute little film! I think they should expand this into an animated feature film, with dialogue and a story line.